Castello dello Soglio was the first name of the Venetian castle. 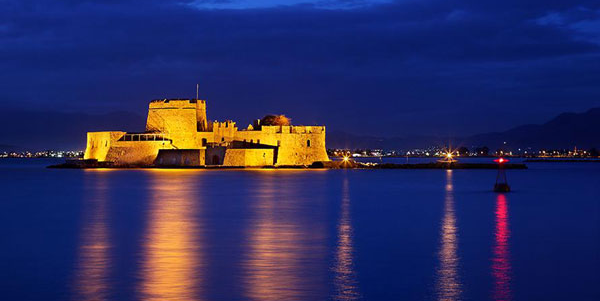 Bourtzi was built on the islet of St. Theodoroi in1473 by the Italian engineer Gabelo. Throughout time it has been used as the residence of the executioners of Palamidi, it later offered housed the Greek government and from 1960 to 1970 it was a luxury hotel and restaurant.